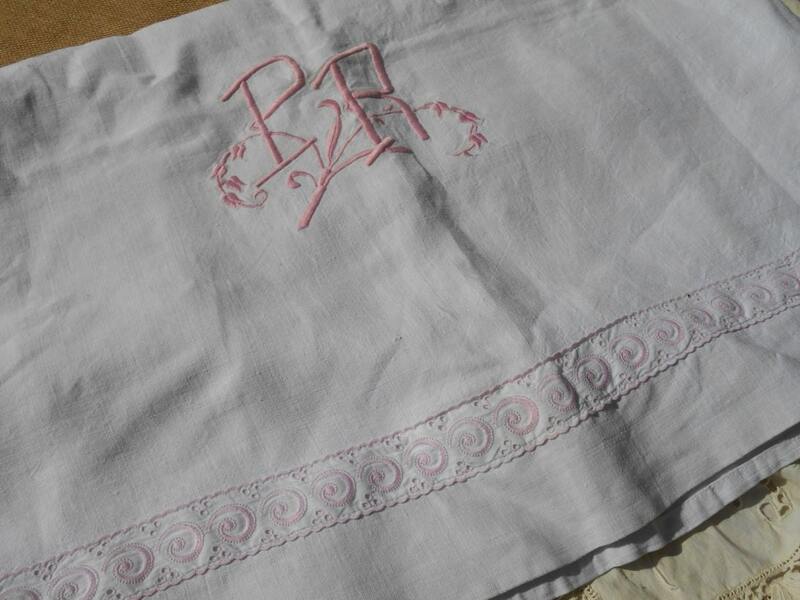 Gorgeous Thick Victorian White French Linen Sheet with Pink Embroidered Monogram Medallion Hand embroidered . 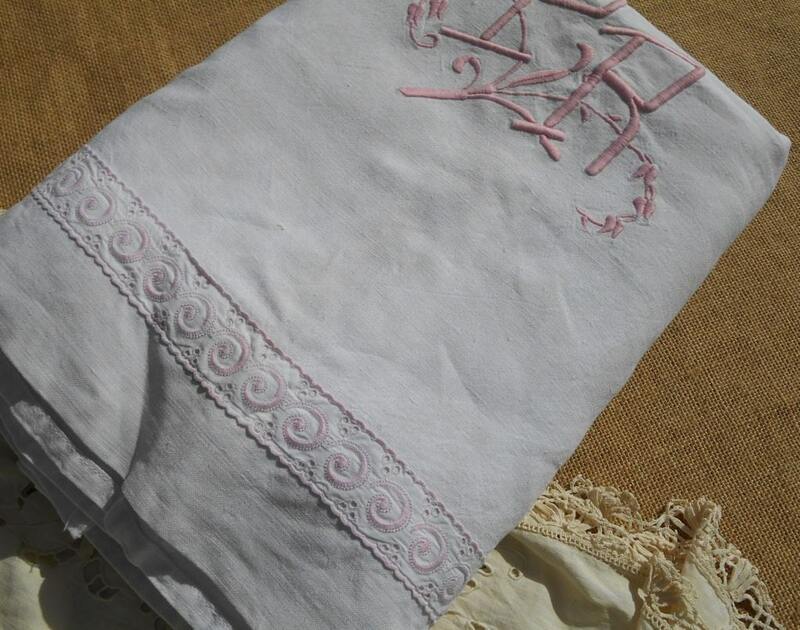 Lovely pink eyelet lace trimmed. 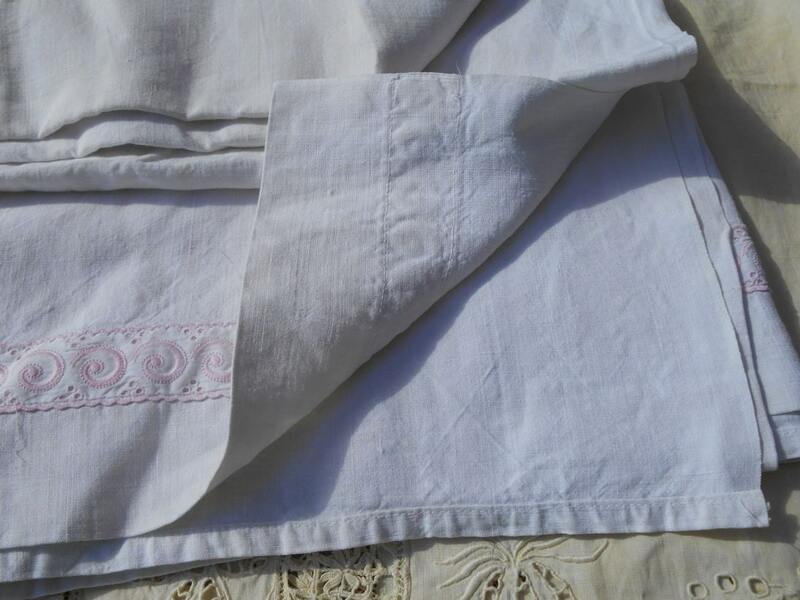 Good vintage condition no holes. 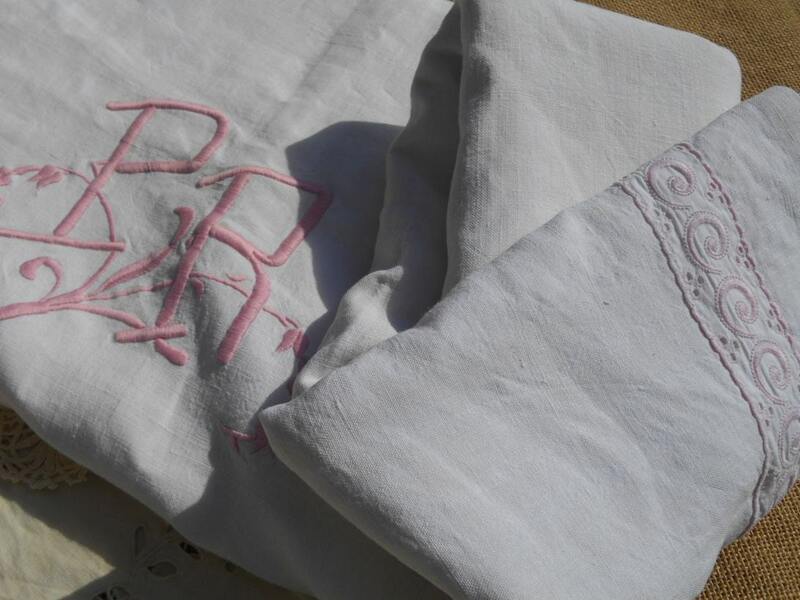 Most of the French have Grand- Mothers keeping linens their closets. 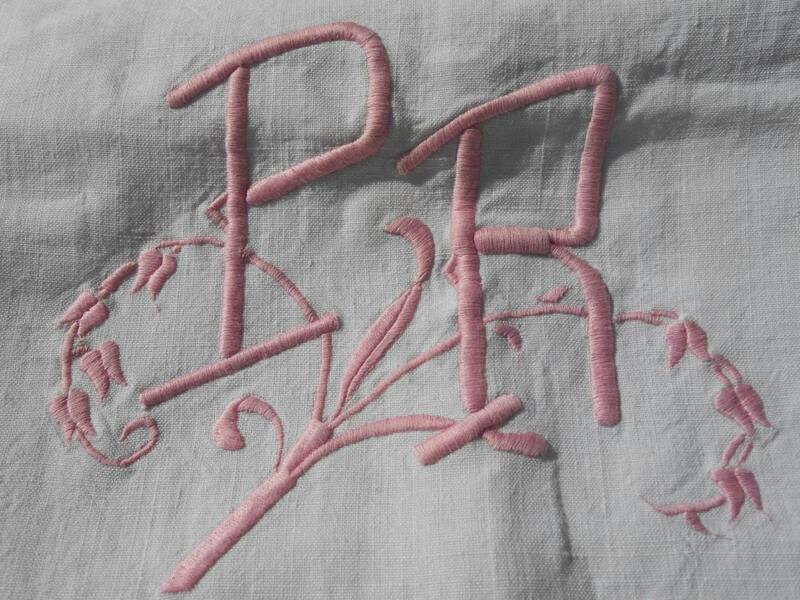 This one is an original pink embroidered monogram.